Reliance Jio may soon launch a new 4G capable laptop in the market with a dedicated 4G SIM, a new report claimed. 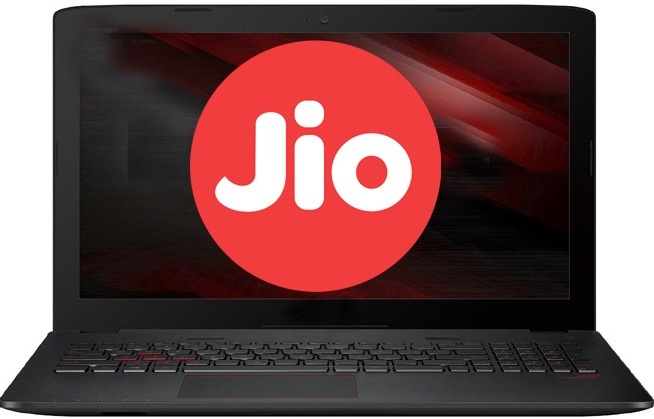 According to a report in PhoneRadar, the company is working on a Jio-powered laptop. The laptop is said to be similar to Apple’s 13.3-inch MacBook Air in design. In terms of specifications, the new laptop is below. Along with 4G support, it will also come with an HD camera for video calling. The report also goes on to say that the laptop will come equipped with a chiclet keyboard and feature a magnesium alloy body and not have a cooling fan. The Jio laptop is also speculated to come with a quad-core Intel Premium processor along with 4GB of RAM and 128GB SSD storage expandable upto 64GB via eMMC storage. On connectivity front, it may offer 4G, LTE, Bluetooth, HDMI port, 2 USB ports and a micro SD card slot. Phone Radar claims that Jio might be in talks with Taiwanese contract manufacturer Foxconn to start producing them. Recently, Reliance Jio extended the deadline of its Prime membership to April 15. Along with this, the company has also waived monthly charges for the next three months under its ‘Summer Surprise’ offer.